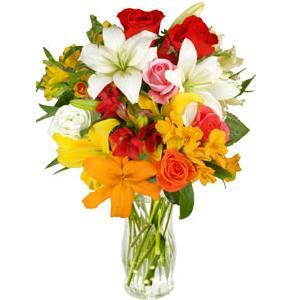 The year was 1821 when, after two previous attempts, independence was declared from the Kingdom of Spain. Due to the instability of the Spanish monarchy, the attainment of independence for Central America was relatively peaceful. Unlike other countries in the Americas, which fought fierce battles to become independent states, Central America was the exception. This is a great time to recognize the contributions Hispanic Americans made to the United States, including excellent books! Here is a list of wonderful children’s books with elements of Hispanic culture, family, and food. Click on the image below to link to a catalog and see if it is available. 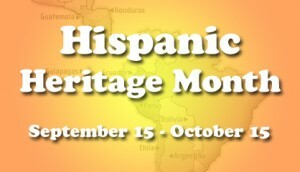 Hispanic Heritage Month begins on September 15th and continues through October 15th. 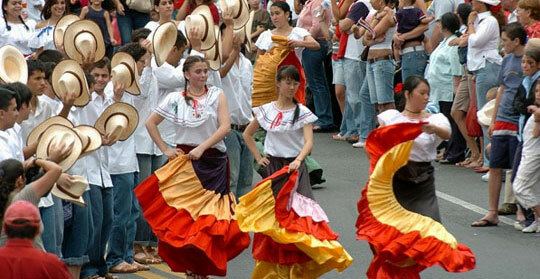 During this time five Latin American countries celebrate the anniversary of independence in 1821 – Costa Rica, El Salvador, Guatemala, Honduras, and Nicaragua. In addition to these countries, other Latin American countries also declared their independence during this time. Mexico declared its independence on September 16th, 1810 and Chili on September 18th, 1810. On September 15, 1821, Guatemala proclaimed independence from Spain for all Central American countries. Most of Central America celebrates Independence Day on the same day including Guatemala, El Salvador, Nicaragua, and Costa Rica. Costa Rica actually learned about their independence from Spain a month later. Few Costa Ricans had sought independence and were surprised by Guatemala’s Proclamation. 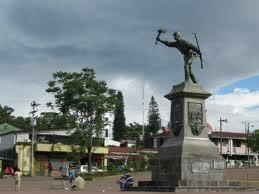 In 1821, Costa Rica was basically four independent and affiliated towns: Cartago, San José, Heredia and Alajuela. For a time, Central America banned together as a Central American Federation. However in 1838, Chief of State Braulio Carrillo withdrew and proclaimed Costa Rica a Sovereign State. This was met with resistance, but in 1848, Costa Rica once again proclaimed the country as a Sovereign State and in 1850 Spain recognized Costa Rica as such. Because Costa Rica was the southernmost province, it finally received the news of its independence on October 13th, 1821. The fact that not a single gunshot was fired to obtain its independence marked Costa Rica as a peace-loving nation. 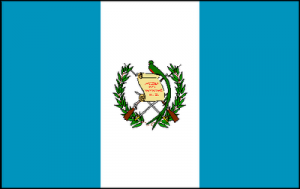 Among the independence documents received from Guatemala, there was a document prepared in Nicaragua. 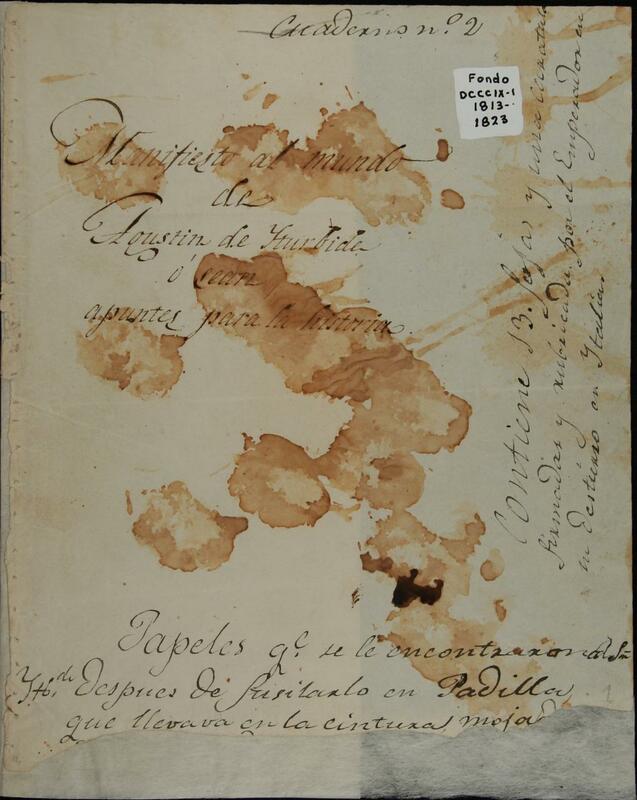 This document is called “Los Nublados del Dia” which means the “Clouds of the Day“. In this document the Nicaraguan government, which was far more developed at the time and therefore closer to colonial rule, insisted that the states should not jump into independence and should wait for the “clouds of the day” to disperse before the states should make a final decision. 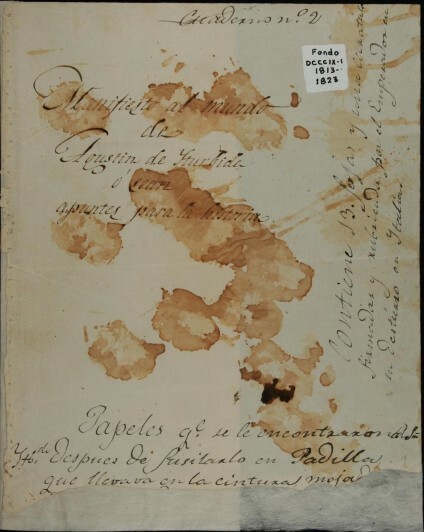 However, because this document only reached Costa Rica, it had little effect. After gaining independence, Costa Rica, along with the other provinces of the Captaincy, briefly joined the Mexican Empire of Agustín de Iturbide. But because of the distance to the Mexican capital and other underlying conflicts, the Central American states including Costa Rica became federal states of the United Provinces of Central America from 1823 to 1839. In 1824, the capital moved to San José. In 1838 Costa Rica proclaimed itself a sovereign and independent nation, under the rule of Braulio Carrillo Colina. In 1856 the Costa Rican army, commanded by Juan Rafael Mora Porras expelled a filibuster invasion, commanded by William Walker. 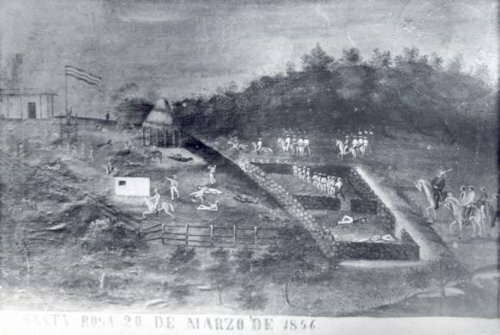 In the battles of Santa Rosa, Rivas and the San Juan campaign, the filibuster army was forced to give up their intentions. The national hero Juan Santamaría fought in the battle of Rivas where he set on fire the “Mesón” where the invaders had taken refuge.During the 20th century Costa Rica has avoided the violence that has plagued Central America; it is seen as an example of political stability in the region. Since the late 19th century only two brief periods of violence have marred its democratic development. 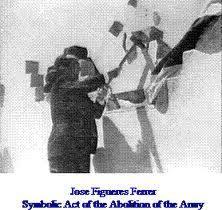 In 1949, José Figueres Ferrer abolished the army; making Costa Rica the first country ever to operate within the democratic system without the assistance of a military (an example that was later followed by other nations such as Panama after the American invasion of 1989 to oust General Manuel Noriega). 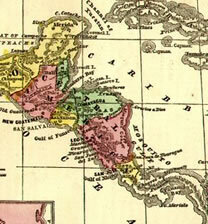 Costa Rica (Spanish for “Rich Coast”), was a largely agricultural country. However, during the last few decades, Costa Rica has achieved a relatively high standard of living. Electronics is a rapidly expanding industry, and along with tourism serves as the major industries of the country thanks to its social stability and rich natural environment. But apart from the particular details that resulted in the region’s independence, and whether or not the grand ideas of that day have been fully achieved, each year we have the opportunity to celebrate in the city streets, to the sound of drums and the roar of marching bands. We can run from our birthplace to Central Park and take the torch, the flame, the light of hope back to our people, or we can just enjoy the excitement, knowing that on this particular day there was a fresh start on the road that led us to this point. After a brief civil war in 1948, Costa Rica abolished their army. So on Independence Day, there will be no military displays in Costa Rica. This is a day of parades and concerts and fireworks. Children make faroles which are little wooden or cardboard lanterns often in the red, white and blue colors of the flag. The faroles have many designs and popular ones are their home, animals, or vehicles. They are on a pole with a candle inside. The celebrationactually starts on September 11 in Guatemala City where a flaming torch is carried all the way to the former colonial capital of Costa Rica in Cartago. This symbolized the arrival of the news of independence. 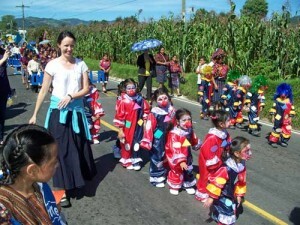 The torch bearers are children selected from local schools throughout Central America. The torch crosses the Nicaraguan border into Costa Rica on the 14 of September and arrives in the northern town of Liberia for a sunset ceremony. Along the way, torch bearers from other parts will light a torch and carry it to festivities in their home towns. 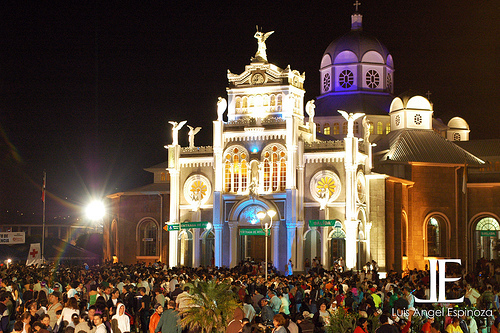 The torch arrives in Cartago at the Basilica de Los Angeles, at 6 p.m. Sept. 15 for the National Ceremony. 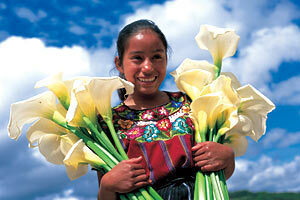 to the Women of our World in Central America.